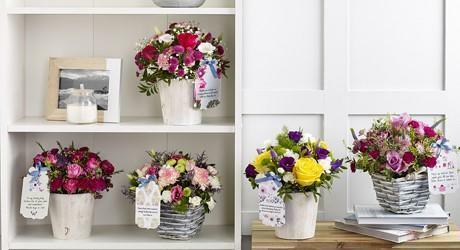 Introducing our stunning new collection of Mother's Day Flowerbaskets. Featuring some of our most striking and elegant blooms in bright, vibrant colours and arranged by hand in rustic baskets, these arrangements are sure to put a huge smile on Mum's face. Add your personal message of love and thanks to the pretty tag for the perfect gift this Mothering Sunday.